Nail Beautician: How to use Nail Art Pen? How to use Nail Art Pen? Nail art pen is considered to be the main accessory in the nail art kit. The purpose of this tool is to draw small petals, flowers and to make perfect designs on your nails. The tip of the nail art pen is so thin that it can easily make the smallest art on your nails. Here i am going to provide you the complete information about nail art pens. After purchasing the nail art pen, it is necessary for one to know that how to use it and to do perfect designing on nails with the use of that pen. This tool is named "pen" because it shaped like the normal pens we use to write on papers. -After buying your nail art pen, shake the pen with the cap on it. -Now press the tip of the pen against hard surface, and press it till the ink comes to the tip of the pen. 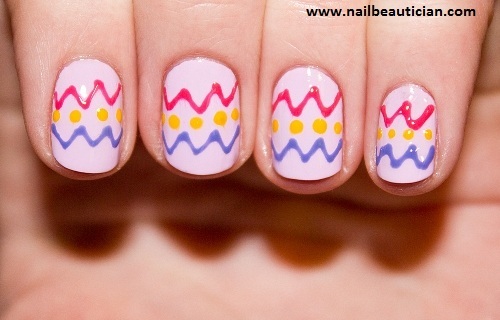 -Now try using the pen on some paper, tissue or rough cloth and do a practice before trying on the nails. -When you are comfortable with using the nail art pen, then use it on your nails. -Apply the base coat, and the nail color you want for your nails. -Now hold the nail art pen, as you hold the normal pen for writing. -Draw the petals, dots or anything you want to draw with the pen. -Leave it for sometime to settle down. -Now apply the top coat for shine and your perfect nail art is done. Note: Nail art pen is available in any color.